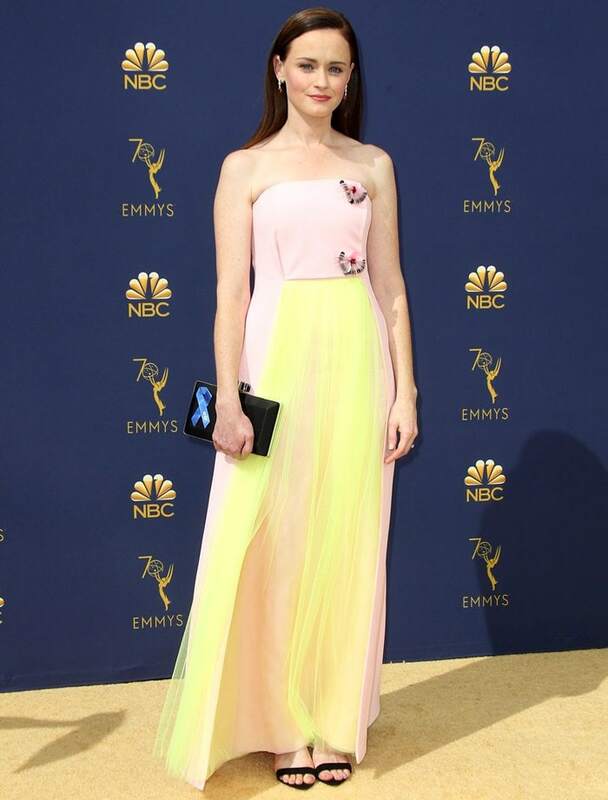 Alexis Bledel led the worst-dressed stars at the 2018 Emmy Awards held at the Microsoft Theater on Monday in Los Angeles. She was nominated for Outstanding Supporting Actress in a Drama Series for her work on The Handmaid’s Tale. Last year, Alexis won the award for Outstanding Guest Actress in a Drama Series for her work as Emily / Ofglen / Ofsteven. The 37-year-old actress did her best to brighten up the carpet in a sugary pastel gown from the Delpozo Resort 2019 Collection featuring tacky butterfly-shaped embellishments. She accessorized with a Judith Leiber clutch, and Harry Winston jewelry. Her outfit was styled by Kemal Harris. The American actress and model finished off her outfit with Leblon Kitten mules in black suede from Alexandre Birman‘s Resort 19’ collection. 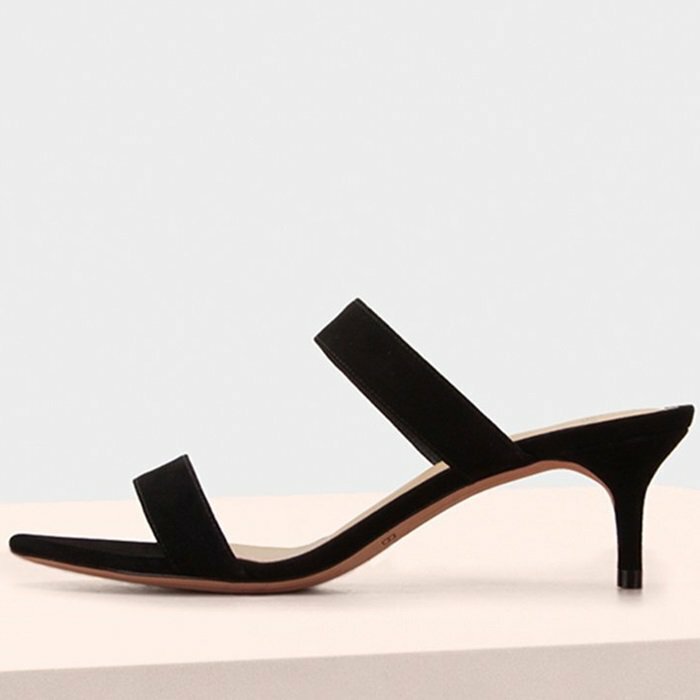 You can find the latest shoes from the Brazilian shoe designer at Nordstrom and Farfetch.